It can't be a whole lot of fun to be Randy Carlyle these days. The beleaguered Toronto Maple Leafs coach has a bunch of riled up hockey fans calling for his head on a platter after the Buds suffered back-to-back blowout losses this week; 6-2 in Buffalo and 9-2, right on their home ice against the Nashville Predators. There are lots of perks, of course, when you're an NHL bench boss; a huge salary, the opportunity to work with world-class players; along with first-class travel and five star hotels on the road. A pressure-packed environment where you have to win and, when you don't, every single piece of strategy is placed under a microscope by pesky reporters and impatient fans. Still, a lot of coaches crave the challenge of running their own show under the big top of the NHL. I recall chatting with one veteran hockey man, a guy who was both a head coach and an assistant with a number of different NHL franchises. At the time of our conversation, he was serving as a scout drinking bad coffee and eating cold hot dogs at tiny rinks around the country, desperately hoping to get another kick at being a head coach. "Wouldn't you rather just be an assistant?," I asked. "There's a lot less pressure." "Mike," he answered, "an assistant coach is just there to pick up pucks at the end of practice and go out for beers with the head coach. I want to be in control of my own destiny." In the end, he did get another shot at being a head coach. But after a few years he eventually got fired again and returned to the assistant coaching ranks, where he presumably kept himself busy by picking up pucks and pounding brewskies with the head coach. But hey! At least he got the thrill, probably for the final time, of running his own bench. Fortunately, the stakes are a lot lower for coaches at the minor hockey level. (Where, by the way, assistant coaches do a lot more than pick up pucks and drink beer with the coach; unless they're buying of course.) Most minor hockey coaches don't get paid a dime, and the only time we get our mug in the newspaper is if we happen to chase a teenage referee across the ice after a questionable call; a scenario we all try to avoid. But the real rewards of coaching at any level are very similar. 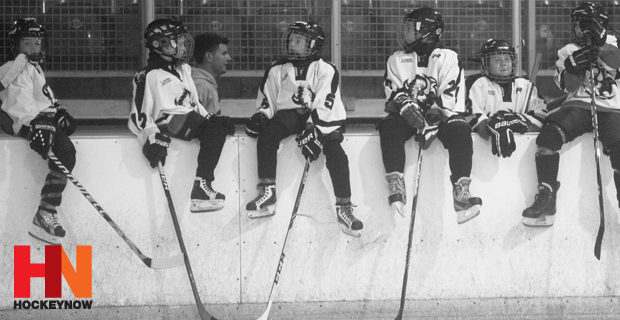 The satisfaction of seeing one of your players improve; the passion of being involved in an exciting game; and the relationships you form with players long after they hang up their skates. That's why minor hockey coaches hold on to their whistle, and it's why Randy Carlyle is trying to hold on to his job.